Residential buildings in Canada are not only increasing in size but have also started adopting larger window to wall ratios which result in higher heat losses. The heat losses can be reduced through the use of proper windows and insulation as well as controlled infiltration. Double and triple glazed with Low-E coatings are the most common type of commercially available windows that are used in residential buildings to ensure energy efficiency. Other parameters such as building location, orientation, and building design parameters also influence how heat flows through a window. Laboratory window experiments can help to determine the thermal performance under controlled conditions and are useful for developing realistic energy models for buildings with the minimum use of resources. 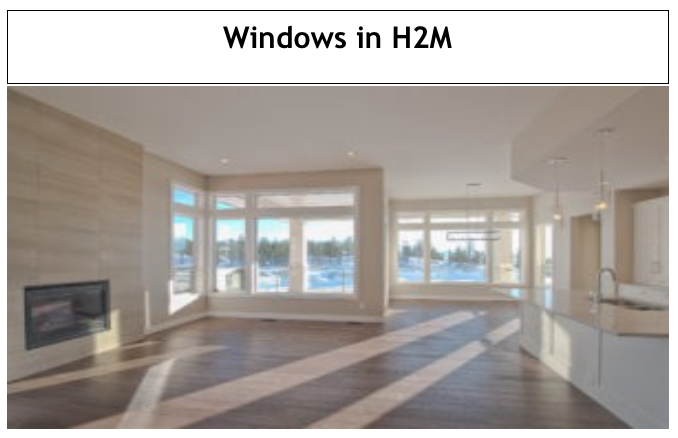 The behaviour of heat flow in the windows (TG2 and DG1) test specimens, obtained from manufacturers was calculated through experimental setup similar to the Hot Box Test at UBCO’s School of Engineering. In a controlled environment, a heating source was introduced on one side of the window called “Hot Side” while the other side “Cold Side” was left unheated to represent the outdoor environment. The temperature was measured over a period of time with thermocouples for both the hot and cold sides and a correlation analysis was performed to check the strength of heat flow between the two sides of the window test specimen. For the experimental setup we assumed heat losses through the apparatus are negligible. In order to determine a robust relationship between cold and hot side temperatures variation data normalization was done using the equation below. This normalization changed the temperature range on the hot side between 0 to 10C. 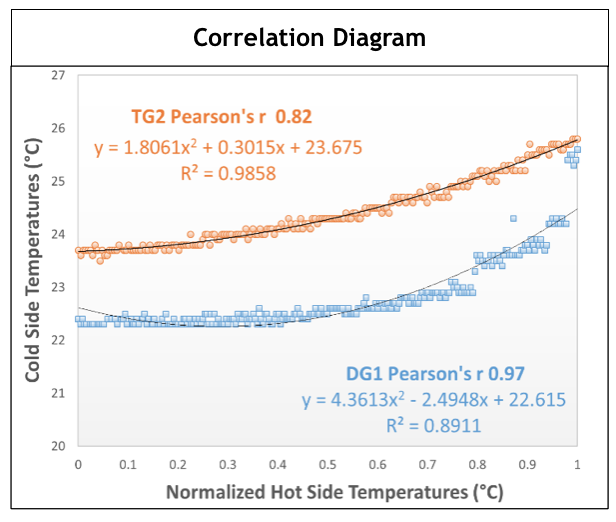 When curves were drawn for cold and hot side temperatures it was seen that temperatures for two sides for DG1 are more correlated (higher Pearson’s r coefficient of 0.97) as compared to TG2. In other words, the heat flow in DG1 will take place faster than in TG2. These results are in agreement to the expected performance of the two window types. Thus double glazed windows will have more heat losses in winter resulting in higher heating bills. This research analyzed a limited set of data and errors are possible in data collected in the laboratory. Change in heat flux was not measured for laboratory tests which would enable the calculation of actual heat losses for two types of windows. In addition to these our experiment measured the heat flows for both frame and glass panes together. Since the ratio of the frame in the test specimen is significantly higher than for windows used in houses this may have had an impact on final results. Additionally, thermal bridges and thermal breaks of the window frames may significantly impact the performances of the household windows. For future work the experimental setup will be improved with the ability to measure heat flows through vinyl frames and glass separately. For more information about energy-efficient window choices CLICK HERE. Stay posted for more real life data results in the future. In next month’s issue we will talk about overall life cycle environmental impacts of H2D and H2M! Be the first one to receive more real life data results in the future.